When many of us think of investing, we think of the stock market. Perhaps, we even think about bonds. However, investing doesn’t have to be limited to equities and bonds. There are numerous other investment choices available. 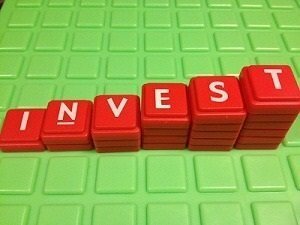 Some of these investment opportunities can even outperform the stock market. However, as with all investments, it’s important to research potential investments before you commit your money. All investment comes with risk, and some alternative investments might not be appropriate for your portfolio. You can lend money to others and receive the interest payments as income. Sites like Lending Club and Prosper provide you with the opportunity to earn a decent return by funding notes so that your peers can borrow money. If you are willing to take on a higher risk that the borrower will default, you can see decent returns. However, there is always the chance that the borrower will default on the loan, leading to losses. If you are interested in P2P Lending, check out Investing and Making Money with Lending Club Peer-to-Peer Lending. The housing market is rebounding in many areas around the country, and mortgage rates are still extremely low. This makes buying a house using a 30-year fixed rate loan a very attractive option. Whether you buy a place for you to live in, or a rental property; this is definitely one of the better time to buy. There are multiple benefits with real estate. Both your physical property and your mortgage work as hedges against inflation. You will be able to deduct your mortgage interest expenses. And for rental property, you will be able to depreciate the 1/27.5 of your house value as tax deduction. If you are interested in real estate investing, check out How to Get Started in Investment Property, and How and Why I Became a Landlord at MoneySmartLife.com. Invest in a business. This can be a business that you help finance in return for a share of the profits, or it can be a business you start. You can start a business with the intention of selling later, or you can use it for continued income now, and pass it on to your family later. From owning income producing web sites, to starting a brick and mortar store, a business can provide you with a way to grow your income. However, the risk is that the business falters and the income dries up. You can invest in physical metals as well. It’s possible to buy gold and silver coins, as well as bullion. Precious metals are tangible, and they (especially gold) often move inversely to the US dollar, meaning that when the dollar’s value falls, precious metals often rise. This makes them popular hedges against inflation. Realize, though, that physical gold and silver investments can be difficult to store. You need to store your items yourself, or you need pay a fee to have someone store it for you. And, just like everything else, if the price falls, you could lose money. If you are interested in precious metals, check out How to Invest in Gold, Silver, and Other Precious Metals. Additionally, it’s becoming popular to hoard other coins. Rather than buy gold and silver, some enterprising investors are hoarding pennies and nickels. The metal content (especially in older coins) is usually worth more than the face value. Right now, you can’t melt them down for the metal content, or take large amounts of coins out of the country. However, if the government gets rid of pennies and nickels, they might be eligible for melting in the future. Storage can be an issue, though, as can the fact that the base metals might fall in value, or the coins may never be eligible for melting. It’s also possible to invest in collectibles. Later, something might be quite valuable. My husband’s mother bought a few action figures back when the first Star Wars movie came out. A quick look at eBay shows me that they might fetch between $30 and $500, depending on condition, packaging, and other factors. You can even look for rare coins, stamps, and other items that others are willing to pay for. Antiques can also be valuable, depending on their condition, age, rarity, and whether or not they were owned by someone famous. However, you have to know what you are looking for, and what is likely to appreciate in value. You run the risk of losing your investment to damage, or to a collapse in demand for the items you are collecting. One of the most intriguing investment opportunities is Bitcoin. This is an entirely digitally currency. It’s de-centralized, with no bank to back it. The entire value of Bitcoin depends on people using the currency for transactions, as well as what people are willing to pay on Bitcoin exchanges for it. As of this writing, on Bitcoin is trading for close to $156. Of course, it’s important to understand that you could lose everything you’ve invested if Bitcoin fails to catch on and remain viable. Additionally, your Bitcoins are kept in your own digital wallet on your computer. If your computer fails and you lose the information, your wallet is gone (unless you’ve backed it up somewhere). Bitcoin is considered very speculative as of this writing. This means that there is potential for big gains if you are an early investor, but you could also sustain big losses if it fails. What’s your favorite way to invest without using the stock market? What is Your Lending Club Performance? With the interest rates so low, and the housing market still not totally recovered, it’s a good time to move on this. It may take 20 years or so to pay the property off, but once it’s paid off, it’s a steady source of additional income when you retire. Downside to rental income is getting good tenants. So be diligent in doing background checks to weed out potential issues. Collectibles are only good if the collectible truly has staying value and you REALLY know what you are doing! By far, I love real estate! I made my money in income property. I loved the search for the apartment building. I liked selling it too. Between buying and selling is owning which is just a job. I enjoyed increasing the value of the property, but owning property takes work . That is never easy! I am hoping to follow your footsteps in real estate. We are just ramping up now, and I hope it will keep growing. Good list, and I’d like to add another: Education/Training. By investing to improve your skills and knowledge, you can significantly boost lifetime earnings. Also, many employers will pay for some or all of additional training. Not taking advantage of this opportunity is a bit like not taking advantage of a 401k match–you’re leaving money on the table! @Kurt – Agree, but everyone who wants to go back to school needs to calculate their education ROI, and make sure that the money they invest into education will pay for itself and then some. That’s what a lot of people fail to do and that’s why we have a student debt epidemic.